Looking for a dentist in Monkton, Maryland 21111 because you’re losing the battle with buildup, chipped teeth, tooth pain, stains or decay? I’m Dr. Craig Longenecker with Hereford Dental Health since 1998. 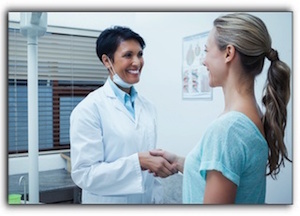 This article offers 3 steps to take before you arrive at our office for a consultation. The state of your mouth is vital to your energy both emotionally and physically. Everyone wants to make a positive impression when they smile or speak. We understand that. The look, the odor, the feel, the functionality of your biting surfaces are so important to your everyday experience that we recognize our important role in finding solutions to these problems. Of course, your very first step is making contact. Please call 443-672-2548 or visit us at 16928 York Rd Monkton, Maryland 21111 or online at https://www.hereforddentalhealth.com/meet-dr-longenecker/. If you can describe your ideal smile, we can discuss how to achieve it. There are numerous possibilities for an outstanding smile makeover as well as dental maintenance procedures. Cosmetic dentistry runs the gamut from teeth whitening to veneers to dental implants. We anticipate you’ll have questions about the cost of porcelain veneers, cost and time commitment for dental implants, possibility of invisible braces, the price of filling a cavity or placing a crown. We will have answers for you. We are equipped and trained in procedures perfect for your concerns and needs. We see patients for dental implants, TMJ treatment, restorative dentistry, Invisalign, or porcelain veneers. We assist patients in reaching their dental goals through whole health dentistry, family dentistry, cosmetic dentistry, and many other affordable procedures. When it comes to looking for a dentist in Monkton or the neighboring White Hall, Sparks, or Hereford communities please know that you will be in capable hands with me, Dr. Craig Longenecker and my awesome team of friendly and capable dental professionals.